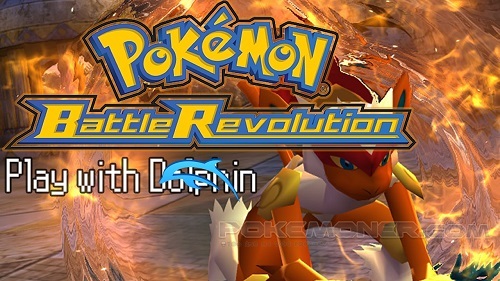 Pokémon Battle Revolution (ポケモンバトルレボリューション Pokemon Batoru Reboryūshon?) 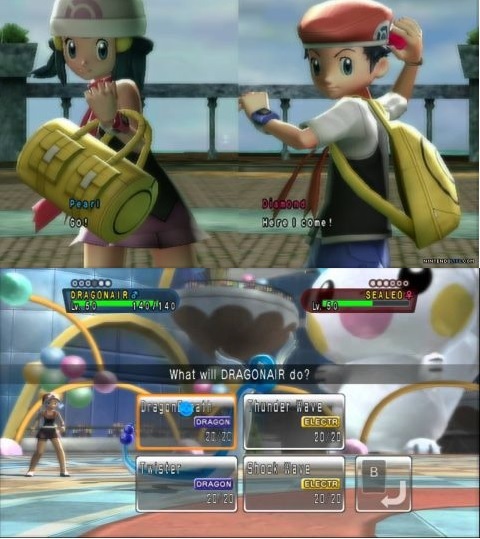 is the first Wii incarnation of the Pokémon video game franchise. It is also the first Wii game to use the Nintendo Wi-Fi Connection in North America and Japan and the second Wii game to wirelessly interact with the Nintendo DS handheld. It was also the last Nintendo game to feature the Nintendo Player’s Guide. The game features 11 different colosseums, each with special changes to normal play or prerequisites and a Colosseum Leader. The Crystal Colosseum holds battles in a 16-person single-elimination tournament mode. The Gateway Colosseum is only open to a rental pass holder, and Neon Colosseum uses a wheel to choose the player’s and opponent’s battling Pokémon. As the player progresses, the Pokémon available to rent become more powerful. The player also earns Poké-Coupons, the currency of this game. Coupons can be spent to customize the player character’s in-game appearance with items such as apparel, face paint, and hair color. Unlike Pokémon Colosseum and Pokémon XD: Gale of Darkness, the game doesn’t have a story mode.